Our dedicated team have more than ten years of experience in this industry. We always ensure the job is completed to the highest possible standard. 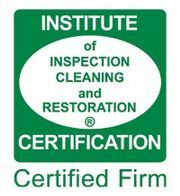 Call today to find out more about our tile cleaning services! Enjoy sanitary and fully sealed grout lines with Edinburgh Cleaning Services. We eliminate any need for harsh chemicals and offer our sealant in a range of colours. Our tile cleaning technicians can change the look of your grout lines and make them resistant to stains and discolouring. Edinburgh Cleaning Services provide excellent natural stone cleaning results at competitive prices. Through our highly trained and professional staff. Our technicians are trained to protect your property from incidental damage whilst on site. We always work with a meticulous and careful attention to detail. We pride ourselves on only using the best technology to ensure you are left with a complete clean. At Edinburgh Cleaning Services you can count on us for a thorough job every time. Our powerful truck combines emulsification and high-pressure technology to rid you of built up soil and grime. Contact Edinburgh Cleaning Services on 0131 660 0220 for natural stone and tile cleaning to keep your surfaces looking pristine. Alternatively, you can e-mail us at info@edinburghcleaningservices.co.uk for a free estimate.